Everybody! Fan Out and Try to Find These Monkeys! 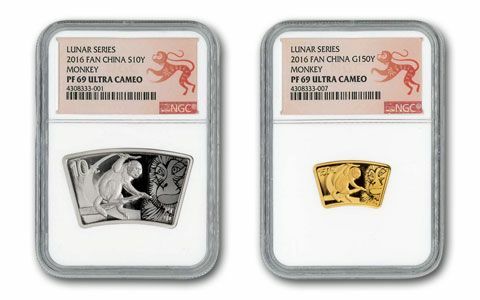 Of all the lunar coins struck by the China Mint, some of the most popular are those struck in a fan shape. 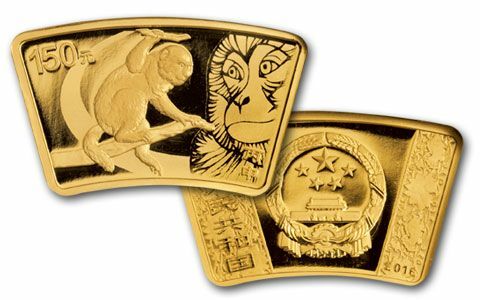 This 2016 Year of the Monkey Gold and Silver Proof set is an incredible find for you. 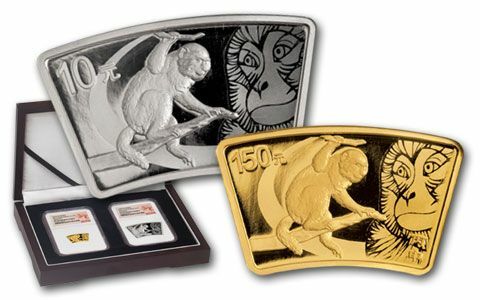 Only 30,000 sets were minted. 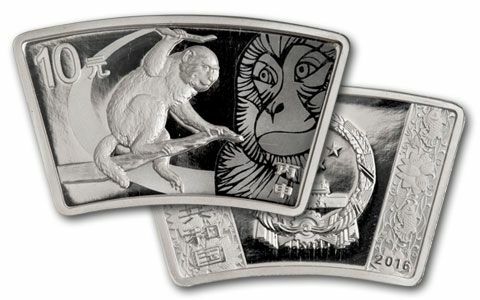 The reverse features a realistic monkey in the foreground and a folk art monkey design as the background. The obverse shows an auspicious design of fish and lotus flowers. The gold fan is a third-ounce of 99.9% gold. The silver fan is one ounce of 99.9% silver. 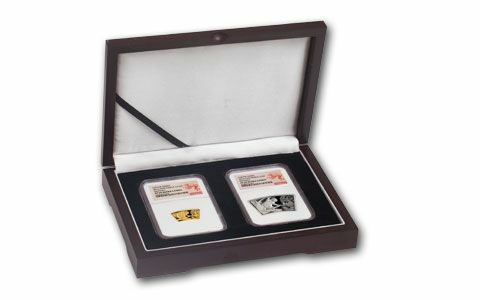 We now have sets available graded Proof-69 Ultra Cameo (PF69 UC) by Numismatic Guaranty Corporation (NGC). Each set comes with an official mint-numbered certificate of authenticity and a wood case. You don't need to fan out to find one — just pick up the phone!